Christmas is a wonderful time to think of family and friends, but take the time to think about others. This isn’t just about what you buy, but who you buy it for. Here are some great ethical gifts to give for Christmas. A part of the problem with Christmas as most of us celebrate is is the emphasis on consumerism. 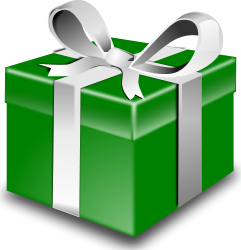 Take the time to really think about what makes a good gift for those you love. Think about what you ask for when people want to know what to get for you. Take the time to think of those who made the products you’re buying and look into Fair Trade options. 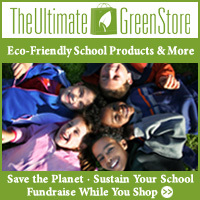 You can find Fair Trade clothing, chocolate, coffee, jewelry, sporting equipment, toys and much more. Perfect for that person who has everything, give a gift in someone’s name. You can use this as an example for your children too. Make sure it’s a cause they agree with, and that the charity makes good use of the money you send. Charities that provide livestock are popular, as are programs which allow you to lend money to entrepreneurs. Why not sign up for fresh produce from a food co-op? Check Local Harvest and other directories for co-ops available in your area. Not only do you get wonderful food, you get a variety you may not be used to, which encourages trying new recipes. For the gardener in your life, think about providing some interesting heirloom seeds to grow. This may be more of a stocking stuffer than a full gift for some, but it can still be a lot of fun. This is a great time of year to give to charity. Actually, any time is a great time, but this is the time of year many of us think about it. So do it. It could be a gift to that relative who really doesn’t want anything more. If you know his or her favorite charity, make a donation in your relative’s name. Take some time with your children and help out at a local charity. It’s a great way to show them that they can help out with a favorite cause. It may take some searching to find something age appropriate, depending on the age of your children. Many organizations have a minimum age limit for volunteers. Then, for your own sake and to give to others, declutter your home and give the reusable items to charity. Help your children to do likewise. It’s often hard to get kids to give up toys, even ones they no longer use, but it is possible. Here are some ways to go about it. 1. Talk about why you clean out the excess toys. Many children these days have far more toys than they could possibly play with. Others have very few because their families can’t afford to give them much. Sending old toys to the thrift shop means that families with less money can afford to give their children something fun to play with. That’s what works well on my kids most times. I don’t buy a lot of toys for them, but they get a lot of them as gifts. 2. Make two piles and have your child choose between them. This works for getting rid of toys or just storing the excess away for a time. Be sure that you allow trades between the piles for particular favorites, and be very clear on what is happening to each pile. Try to keep trades even between the piles, so that the “stay” pile doesn’t keep growing. 3. Sort them out yourself. I’m not too fond of this option personally – I like my kids to be involved in the decision. Sometimes it’s necessary when the piles of unused toys get too extreme and you aren’t getting any cooperation on getting rid of toys. If you do this, be prepared for some anger when missing toys get noticed. Kids can come up with a reason why any toy, no matter how neglected, was important. It may help to discreetly store toys taken this way for a time before sending to your local thrift store. This allows for any serious mistakes to be corrected. Or you can be firm about the matter and point out how many other toys are still all over the house. However you go about it, make sure your kids see you giving up things as well. Children shouldn’t feel as though they’re the only ones having to give things up for others.